The Trump administration has just rolled out an ambitious regulatory framework for combating high prescription drug prices, called American Patients First. This plan identifies four key problem areas for drug costs today: high list prices for drugs, a lack of negotiation tools in government programs, increasing out-of-pocket costs, and foreign governments free-riding on American innovation. And in response, the administration lays out four solutions or goals: increased competition, better negotiation tools for government programs, incentives for lower list prices, and reduced out-of-pocket costs. While this new plan is the most comprehensive effort any administration has made in this issue area, and while it’s attractive to hone in on just a few key areas, it’s worth remembering that drug policy, like the rest of our health policy, is very complicated. Lowering prescription drug costs is not going to be straightforward or easy (it’s not just a four-item checklist). But this is a helpful framework, and we should applaud the administration’s efforts and focus on the issue. High list prices for drugs – The drivers of cost are quite complex. There are incredible costs associated with drug research and development, as high as $2.87 billion per drug, and it is exceedingly difficult for researched drugs to make it to market. Only about 1 in 5,000-10,000ultimately do. Truth be told, Americans pay a high price to live in the land of innovation; there's a trade-off between innovation and costs. Naturally, and rightfully, new innovations are protected by intellectual property rights, meaning drugmakers enjoy patents and other periods of exclusivity to market new drugs (in hopes of recouping their R&D investment) before competitors enter the market. At this point, we typically see huge drop-offs in drug prices. The solution here – fostering greater generic competition where appropriate (where patents and other IP protections have run out) – is something that has already been a focus of the Trump administration, especially for the FDA under the leadership of Scott Gottlieb. This is the right policy, and any steps that federal agencies can take to improve competitiveness are steps in the right direction. Lack of negotiation in government programs – This one could get sticky. The term “government programs” is used here as shorthand for Medicare and Medicaid, two of the biggest payers in our health sector. It would be hard to overstate their power. Medicare pays for the lion’s share of health costs for nearly 60 million seniors, and seniors consume a disproportionately high share of drugs. And Medicaid insures more than 70 million low-income Americans. 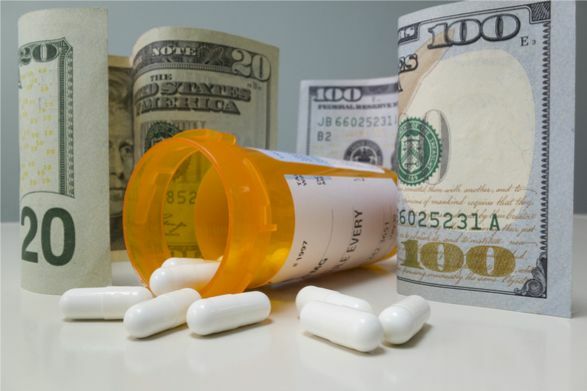 Both programs have complex drug payment policies. There’s a constant power struggle between big government and big drug companies, as well as big health insurance companies who participate in programs like Medicare Part D. This power struggle often leaves the little guy (the patient) out. It’s difficult to determine which policies are best. This complex situation is the direct result of government becoming overly involved in healthcare. We should be cautious when it comes to empowering Medicare and Medicaid to "negotiate" drug prices. While it sounds nice to have government programs negotiating on our behalf, we have to recognize that no negotiation with the government is really fair for a private industry. And there can be unintended consequences when the government sets prices too low. For example, drugmakers may not be willing to provide the quantity demanded, resulting in a shortage. Even so, because private companies participate in Medicare Part D, there are serious questions about what negotiation tools should be available, and the administration’s plan seeks to address that. Increasing out-of-pocket costs – Americans typically don’t pay the full cost of their healthcare consumption, whether for services, screenings, or drugs. This is because our health laws (and history and culture) have amped up the role played by third-party payers like insurance companies and government programs. While it’s tempting to look at third-party payment as a good thing (“I’m so glad this procedure is covered!”), it’s also important to keep in mind that we eventually pay for all services and drugs consumed, even if indirectly, through higher premiums, taxes, or government debt. That said, increasingly unaffordable out-of-pocket costs can create real burdens on Americans. Some even report not adhering to the drug regimes they are prescribed due to costs. Many people have separate deductibles that apply only to drugs. One particular common-sense change that the Trump administration is making is forbidding Part D insurers from gagging pharmacists who may be able to tell Medicare patients that they can save money by paying directly for particular drugs instead of using their insurance. Information is power, and patients deserve to know. Foreign governments free-riding – Americans likely know that the very same drugs we consume here at home are often available at much lower prices overseas. This is due to foreign price controls, which underlie the unfair disparity between our domestic prices and theirs. When foreign consumers pay less than the market price for drugs, American consumers pay a surcharge. The Trump administration is right to name this as a key part of our problem, but there is little we can do to pressure foreign governments to repeal their pricing schemes. This is a trade policy issue. At least the administration seems to recognize that simply reimporting American drugs at foreign prices won’t solve the root of the problem. While we all want more affordable drugs, price controls only reduce prices artificially, and can result in shortages. The bottom line is that the Trump administration is wading into a difficult issue area here. The blueprint, American Patients First, has (for the most part) the right focus on private-sector solutions, competition, and reduced market distortions. Americans should be thankful for this focus on such a critical issue, even if it’s not going to be easy: Worthwhile endeavors rarely are.